CMSWire.com is a popular web magazine published by Simpler Media Group, Inc. Our daily updates keep you in the know about Customer Experience Management, Digital Marketing, Social Business and Enterprise Information Management. Founded by Brice Dunwoodie in 2003, CMSWire has drawn together an audience of digital marketers, collaboration experts and information managers. To simply — inform, inspire and empower our community members. You can view our editorial calendar here. And if you're interested in contributing articles that align with our monthly themes, please review our content submission guidelines as well. Our audience comprises a diverse group of 800,000+ quarterly readers and 400+ content contributors. We speak to a range of software buyers, seasoned practitioners, vendors and analysts with a focus on digital marketing, customer experience, collaboration and information management practices, including web experience management, content, document and asset management technologies, web publishing and social business. Read more about our audience here. Our sector's marketplace remains a dynamic and broad field of great innovation, and one of interest to many disciplines. 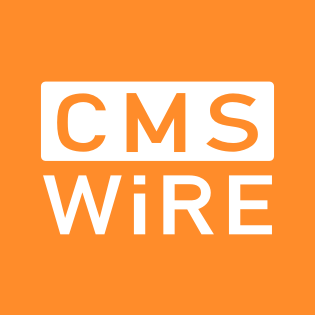 We at CMSWire do our best to keep you informed of the latest twists, turns and trends this industry presents. You can also check out our Editorial Calendar for Monthly editorial themes here. The leading web publication about digital customer experience, enterprise collaboration and info management. - The Rise of the Chief Data Off..
- Chief Digital Officers Can Hel..
- How Do You Master Digital Cust..
- Think Digital Renovation, Not ..
- Digital Transformation: The La..
- DX Leaders: Digital Transforma..
- More Digital Business = More C..